Climate Change Is Killing Coral On The Great Barrier Reef : The Two-Way The ecosystem has collapsed for 29 percent of the 3,863 reefs in the giant coral reef system, according to new research. Scientists are learning which corals are the "winners" and "losers." There are variations in the appearance of severely bleached corals. Here, the coral displays pink fluorescing tissue signalling heat stress. Through close observations of the world's largest coral reef system, scientists are taking stock of the extent of the damage from higher water temperatures due to global warming. They mapped the patterns of heat exposure on more than 1,400 miles of reef and monitored which corals are dying, in order to understand the future of these reefs. It's a future that looks vastly changed. "This has really been an event that is changing the character of these reefs, and now that these marine heat waves are coming more frequently and more severely, we expect this sort of damage to keep occurring on coral reefs around the world," says Mark Eakin of NOAA's Coral Reef Watch. The bleaching "has changed the whole community of coral living on many of these reefs, killing many of the more temperature-sensitive corals and just leaving a community that's been sort of flattened or homogenized," he says. Either of the catastrophic back-to-back bleachings "would have been the worst they've ever seen," says Eakin. The die-off has caused the collapse of the ecosystem for 29 percent of the 3,863 reefs in the giant coral reef system, according to research published today in Nature. The detailed mapping builds on previous research that relied primarily on aerial surveys, and was conducted by a team of Australian and U.S. scientists. The scientists are worried because they found that corals were dying at a lower level of heat stress than they expected to see, says Eakin. It's possible that could be because reefs in the extreme north of the Great Barrier Reef have not been exposed to significant heat stress in the past, "and so that impact most quickly and at lower temperatures than we might expect elsewhere." The higher-than-usual water temperatures shock the reefs, often causing important algae to disappear and turning the once vibrantly colored corals pale. Eventually, many will die. But not all of them. "This is looking at how the mortality from heat stress affects the coral communities – who lives and who dies," says Eakin. Some die quickly from heat stress, the study found, while others die more slowly as algae that lives there is depleted. Those corals that live, he says, "tend to be tougher, more rugged coral that are found in a wide array of locations." Those most likely to die, he says, are largely faster-growing varieties. It's possible that the faster-growing types could recover but only if enough of them survive in the area. Corals that died in the northern Great Barrier Reef as a result of the 2016 bleaching event. "You need to have the ability for the new larval corals to recruit in from other reefs or for there to be enough survivors in place," he says. Many of the damaged reefs don't have easy access to these baby corals to repopulate the species that once lived there. Generally, prospects for recovery are bleak. The fastest growers might take 10 to 15 years to recover, Eakin says. The big, mature corals can take decades or centuries. 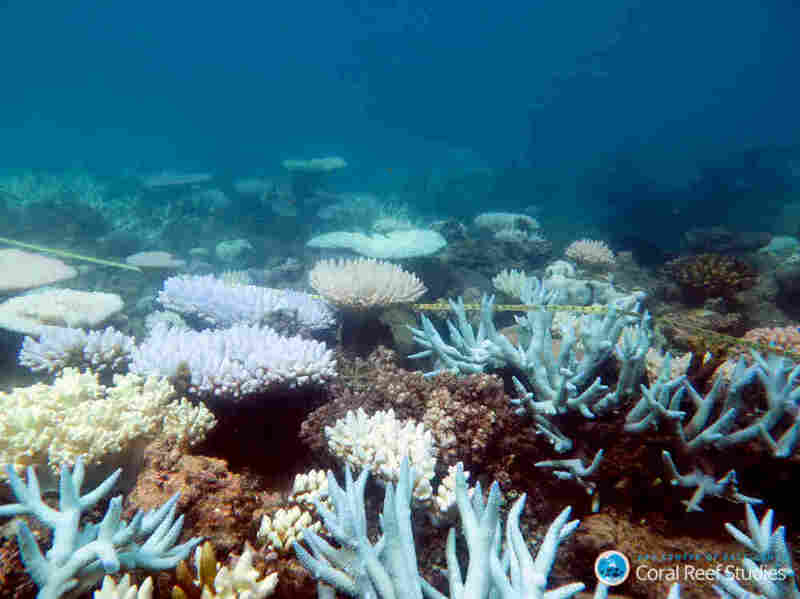 And there are major questions about whether coral will have time to bounce back before other bleaching events, which are happening faster than ever before. "It's about once every six years, so these events are coming more frequently than the coral can recover," Eakin says. What this is likely to mean, he says, is that coral reefs will be much less diverse in the future than they are now, with heat-tolerant varieties most likely to survive. "Diverse coral communities are needed to have diverse fish and shrimp and crab and worms and all of the other species that live on reefs," says Eakin. "So as these events continue into the future, we're going to see much simpler coral reefs ... and if we don't take care of the problem of human-caused climate change we're going to lose a lot of the world's coral reefs." 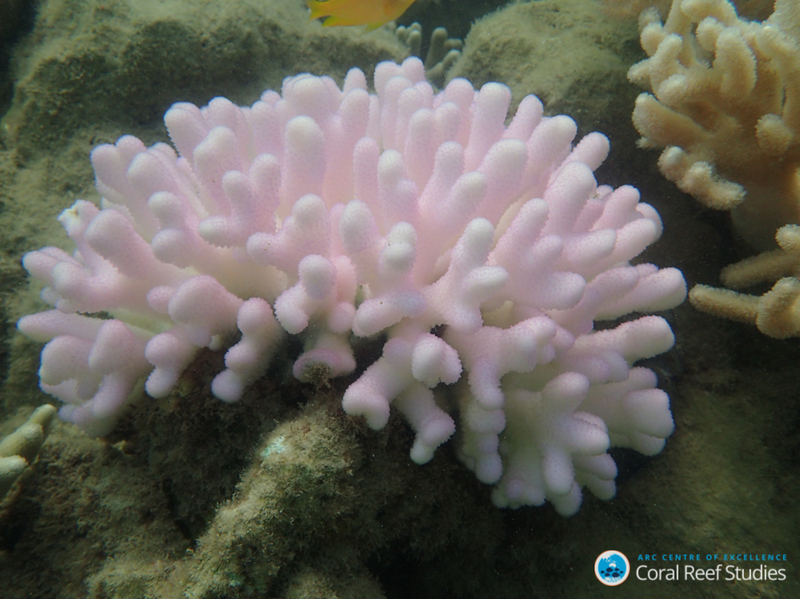 This research is focused on the bleaching event in 2016, which hit the northern areas of the reef the hardest. The bleaching event of 2017 hit further south, and scientists are now trying to determine the extent of that damage, particularly for areas that were hit by both marine heat waves.